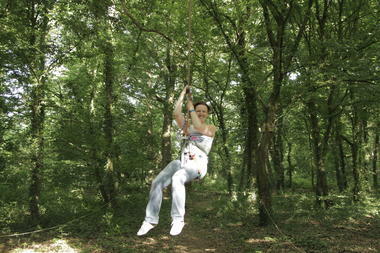 My Little Forest is a tree climbing located 15 minutes from Mons. 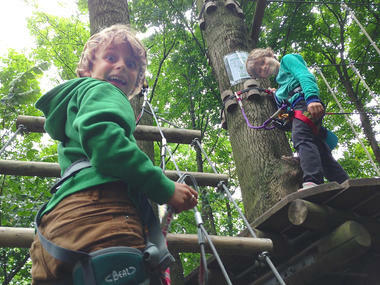 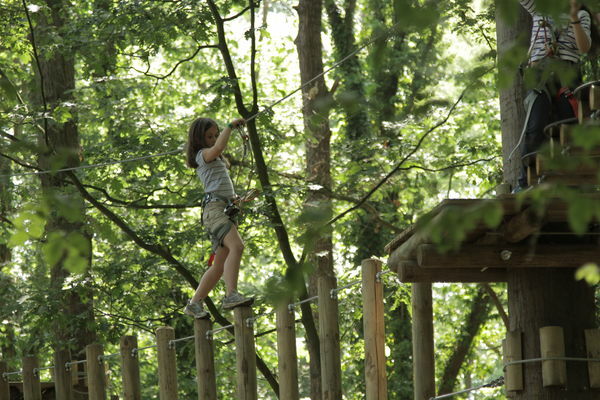 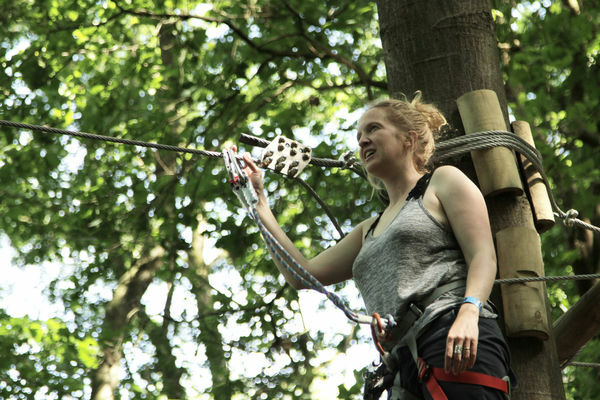 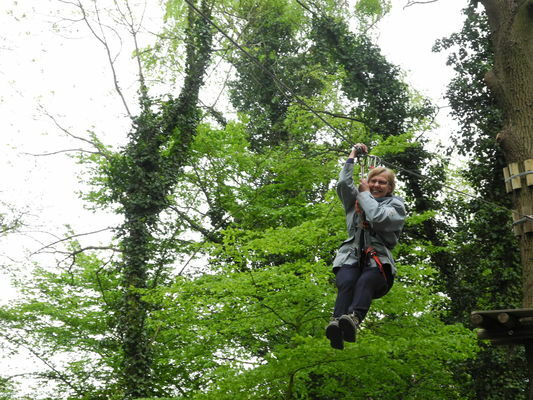 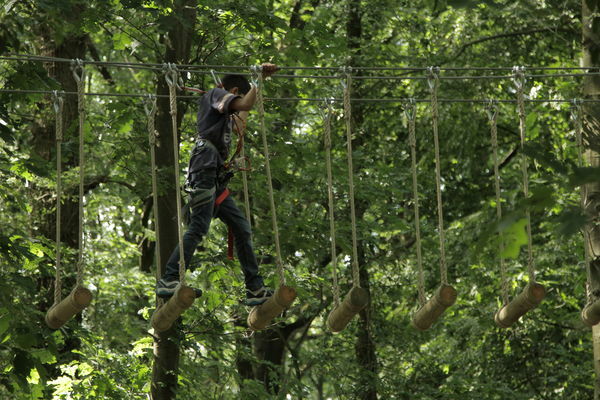 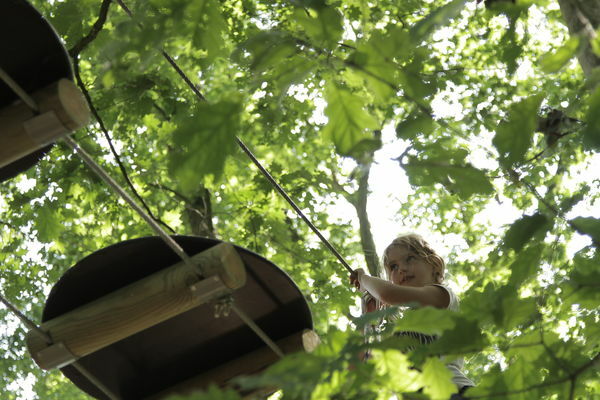 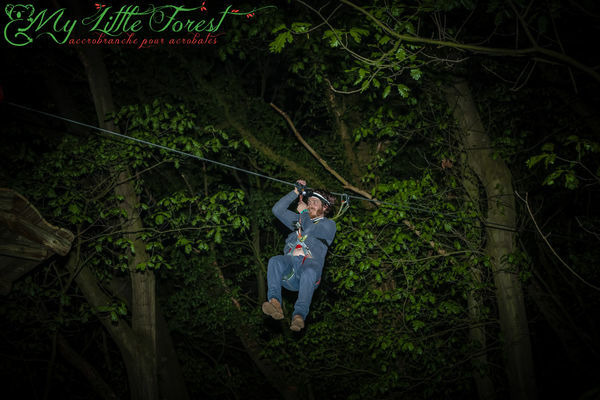 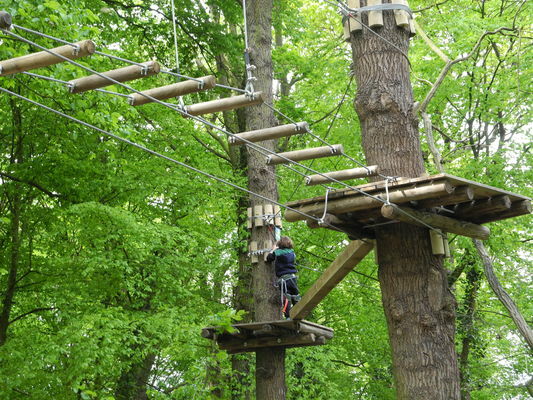 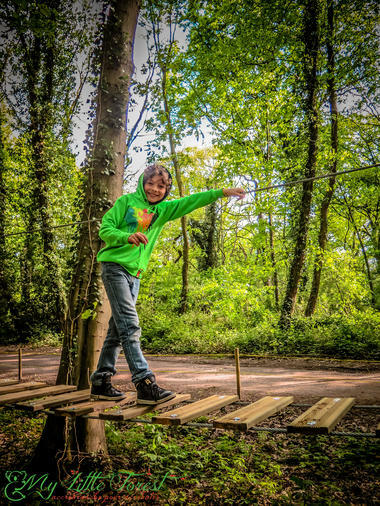 In an oak forest, come and discover 40 games: skate board, suspended logs, trapeze, monkey bridge, tightrope game, cask… Come meet the challenge ! 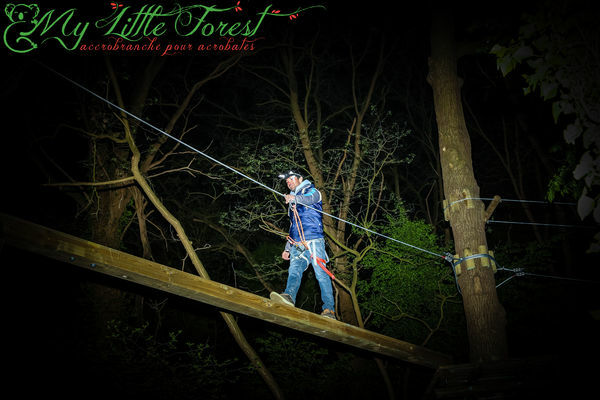 Several Friday during the season, come and discover My Little Forest by night ! 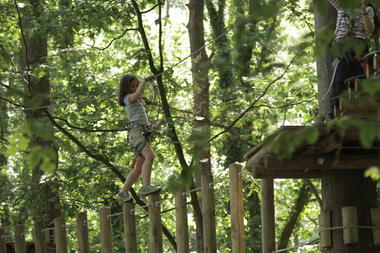 My Little Forest, it’s also a big jump at 14 meters above the ground !